Following graduation from Ashland University 2006, Matt and his wife, Kay settled in Ashland where they grew their family to include two children, Eden and Hunter and two black labs, Taylor and Bella. While in Ashland, began his insurance career specializing in commercial, farm, life and health insurance and recently received the prestigious designation of Chartered Financial Consultant®(ChFC®) from The American College Of Financial Services. 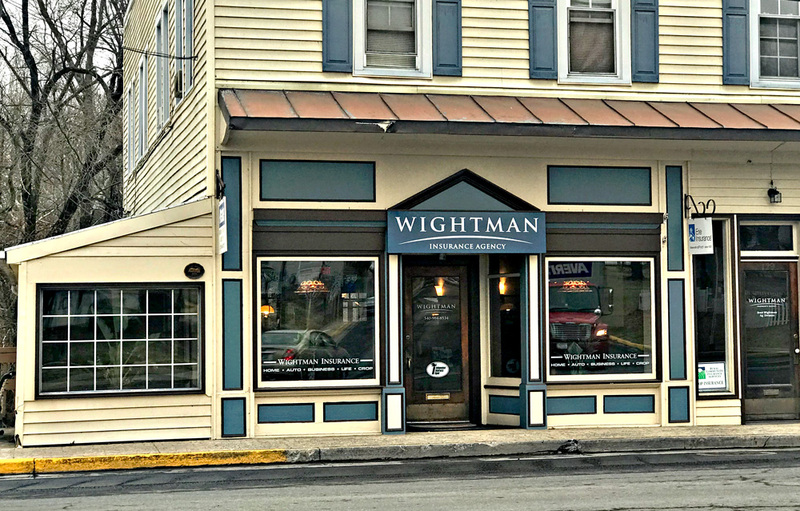 After a very successful 10+ year career as producer, Matt and his family are excited to come home to Virginia where Matt will join the team at Wightman Insurance Agency in an ownership role. Matt understands the value of a locally owned agency providing professional, personalized service to the community. In his spare time Matt enjoys music, playing guitar, enjoying the outdoors hunting, fishing, and hiking as well as spending time with his friends, family, and Church. After purchasing a small book of crop insurance clients, Libby Rocco started Wightman Insurance in 1985. The Edinburg office opened in 1992, expanding into a full service independent insurance agency and Libby is excited to work with Matt Helsley as the agency transitions to the next generation of ownership. With 30+ years in the industry, Libby is a trusted advisor for life, business, farm, home and auto insurance. Libby has served as past president of the Edinburg Chamber of Commerce, Edinburg Ole Time Festval chair, officer of Family Promise of Shenandoah County and music director at Wakemans Grove Church of the Brethren. She enjoys horseback riding, tennis, grandma time and making music with her husband Keith, in their band, Jump Alley. Debbie Crisman is respected throughout the community for her dedication to her clients. With over 25 years experience, she is the home, auto and flood insurance specialist at Wightman Insurance. Debbie is a Fort Valley native who enjoys antiquing and spending time with her church family, her 17 grandchildren and her husband, Phil. Justin Wightman is a lifelong resident of Edinburg and graduate of Johnson & Wales University in Charlotte, NC. He has nine years experience in the insurance industry and has achieved the AIAM and CPIA designation and specializes in life, business, home and auto insurance. Justin is a founding member and past officer of the Shenandoah County Chamber of Commerce and co owner of 1752 Barbeque in Woodstock. Justin enjoys hunting, fishing, hiking and floating on the Shenandoah River in his off time. Cori Pence was born and raised in the rolling hills of Morgantown, WV. She graduated with her Bachelors of Arts from West Virginia University in 2014. She met her husband Will at WVU. Cori and Will were married in May of 2017. Their family currently consists of a Dog Layla and cat Ginger. After Cori’s graduation she started her position at Wightman Insurance a few months later as a Customer Service Representative. In 2016 she gained her Insurance license and started working as an Agent, in Property and Casualty. Cori is an active member of their church; she and Will are a host family for the Woodstock River Bandits in the summer where Cori frequently sings the National Anthem. She also enjoys singing, crafting, and spending time with friends around good food.